Please contact us directly to discuss event details. Pricing varies depending on day/time of your event. 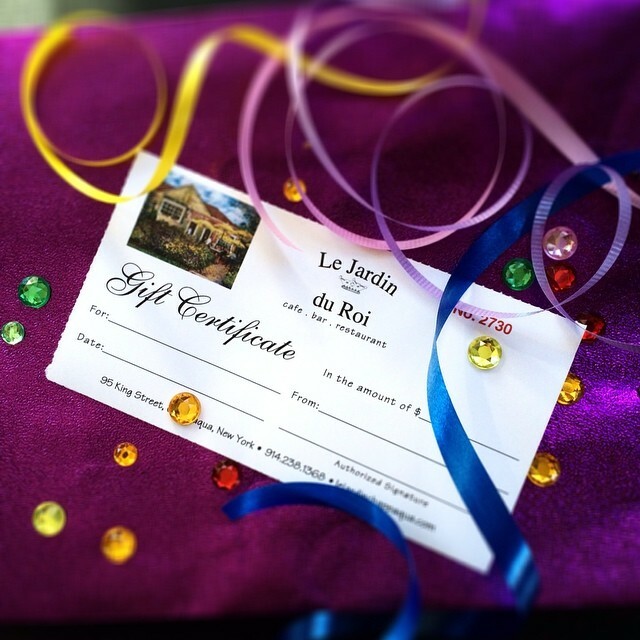 Le Jardin du Roi, in downtown Chappaqua, invites guests to dine in French bistro style. The dark, wooden interior creates a cozy setting where you can enjoy a relaxed and romantic meal, celebrate a special occasion, or spend a nice night out with your family. The ever-popular patio provides a perfect atmosphere for outdoor dining. Open seven days a week, Le Jardin offers breakfast, lunch and dinner, from early ’til late. Our wait-staff is knowledgeable, friendly and eager to make your dining experience one to remember. 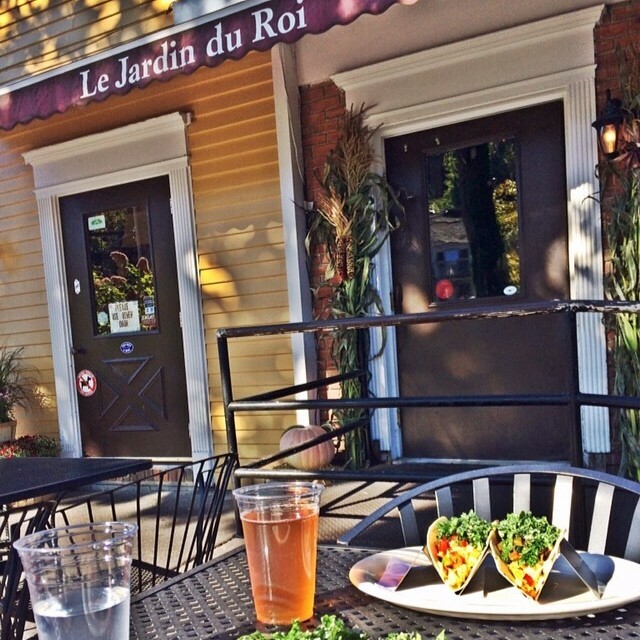 For the past nine years, Le Jardin has been a favorite local establishment in a town where the highest quality is expected. We welcome you to come relax and enjoy. 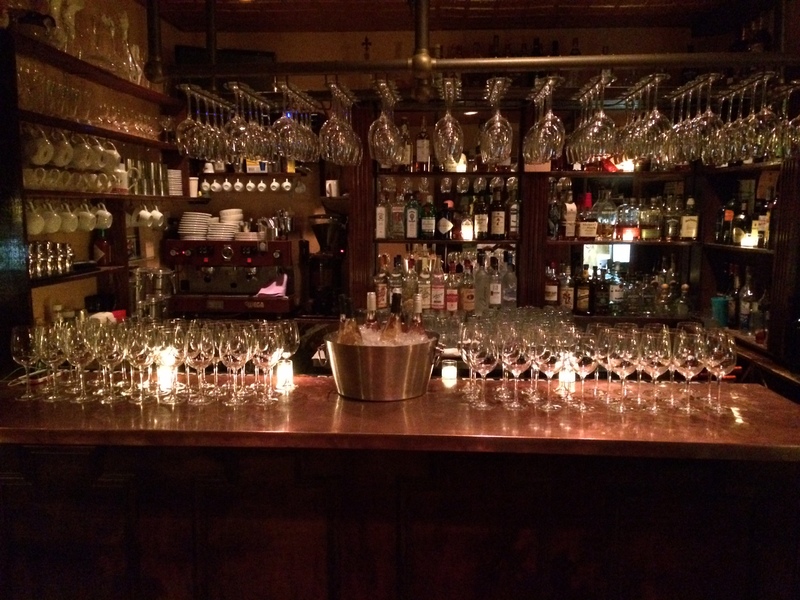 We host events for our customers all the time ranging from pre-Bar/Bat Mitzvah celebrations, to cocktails and appetizers in our bar area to a formal sit-down dinner. We’ve even closed the restaurant for large private parties. Whatever the size or type of event, we can make your event perfect. We also offer catering. For more details please click here.